Non-invasive treatment of a wide spectrum of injuries - bone and soft tissue. Enables speedy treatment sessions to heal a broad range of injuries with confidence, from non-union or stress fractures to suspensory injuries and much more. Non-invasive treatment of a wide spectrum of injuries - bone and soft tissue. Enables speedy treatment sessions to heal a broad range of injuries with confidence, from non-union or stress fractures to suspensory injuries and much more. Electrohydraulic shockwaves switch on the healing cascade without the inflammatory phase of a real injury. These film developing units produce high-quality final images in a short period of time. 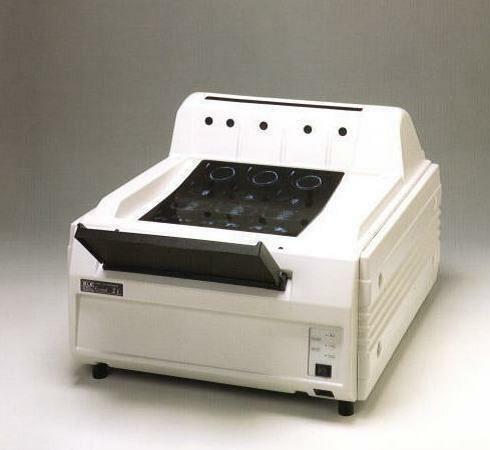 Tabletop and floor models are available, as well as dental x-ray and sheet film processors. A safety box to keep new films in dark conditions. Specially locked box where films are kept until they are loaded into the cassettes. This box can not be opened in a normal light conditions, so that the loading will be possible only in a “dark room”. Dual modality preclinical scanner for noninvasive imaging of small animals. The device is suitable for pharmacodynamics, pharmacokinetics and morphological measurements in mice, rats, and rabbits. Can be used in variety of research applications in oncology, cardiovascular pharmacology, target discovery and gene expression studies. Offers high-resolution and high-efficiency detection in a large Filed of View (FOV). By using different energy radioisotopes conjugated to different molecular targets, the device is able to image several molecular events simultaneously. Pole syringe provides a safe, fast and simple means of injecting animals in situations where adequate restraint facilities, or space, are not available. These stationary or mobile units will provide reliable images satisfying the needs of different types of veterinary clinics. Anesthesia unit specially designed for veterinary use. These machines are suitable for anesthesia in a large variety of veterinary procedures. Some models are suitable for small animals. Others are suitable for animals up to 70 Kg of body weight. Blood pressure monitor (and/or recorder) specially designed for veterinary use. Many different kinds and types of blood pressure monitors, all are used in veterinary medicine. Models vary from single-channel non-invasive to invasive multi-channel monitors. Monitors may include additional modules (e.g. temperature, HR, pO2, respiratory etc). Some are portable, battery operated, suitable for field work, while others are stationary. Some models are designed for pets, some for farm stock animals, and others for both. A device which facilitates castration of animals. Dental equipment, specially designed for veterinary use. The equipment includes various power drills, periodontal probes and ultrasonic scalers, X-ray machines and intraoral radiographic film, dental mirrors, polishers, light sources, curettes and magnifiers, charts, and various dental stations, tables and instruments for the veterinary practice. 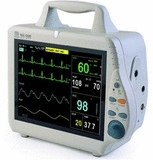 ECG monitor (and/or recorder) specially designed for veterinary use. 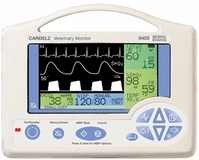 ECG monitors for veterinary use, include special veterinary programs and uses specially designed veterinary electrodes and other peripherals. Some models include monitoring of BP, temperature, respiration etc. Flexible endoscopes specially designed for veterinary use. Fiber optic flexible endoscopes specially designed for veterinary use. Both external diameters and length of these endoscopes are suitable for the use veterinary diagnosis and procedures. Some models are aimed to serve pet animals, while others are suitable for farm stock. 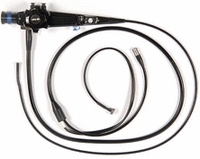 Rigid endoscopes specially designed for veterinary use. Rigid tube type endoscopes specially designed for veterinary use. Both external diameters and length of these endoscopes are suitable for the use veterinary diagnosis and procedures. Some models are aimed to serve pet animals, while others are suitable for farm stock. Special analyzers for various biochemical, hematological and other assays and tests. 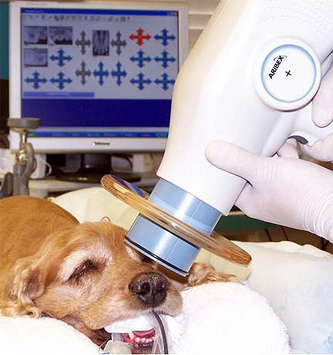 Lasers specially designed for veterinary use: therapeutic procedures, surgery and scanning. Clinical applications include: Declaws, Ear Hematoma, Skin Tumors, Dog Neuter, Amputations, Bursitis Tendonitis, Lick Granuloma, Post Ear Crop Surgery, Post Cruciate Ligament Repair, Joint Ankalosis, Wounds, Ulcerations, Tendonitis, Plantar Desmitis, Laminitis, Navicular Disease, Ringbone, Sesamoiditis, Fetlock Injuries, Hock Injuries, Suspensory Ligament Strain, Acupuncture Points and Pain Management. 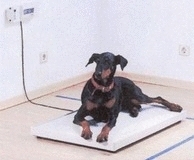 Monitor specially designed for veterinary use. 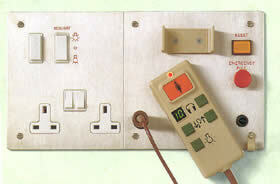 Monitor specially designed for veterinary use. Some are portable, battery operated, and suitable for field work. Others are stationary. Some models are designed for pets, some for farm stock animals, and others for both. A small and portable Pulse Oximeter which uses a non-invasive method for the monitoring of the Oxygenation in the animal hemoglobin. Many models also include heart rate (pulse) monitors. Small and portable operated Pulse Oximeters which use a sensor that is externally placed on a thin and hairless part of the animal (tongue, vulvas or prepuces) and measures, by a means of light containing both red and infrared wavelengths, the SPO2 and the heart rate of the animal. Those are portable, battery operated light weight units, which are easily operated in the fields as well as in the veterinary clinics. Scales designed to measure body weight for veterinary use. Scales designed to measure body weight for veterinary use Models defer in weighting platform, platform size, and weight range and accuracy. Some models use a sling. Some models are battery operated for field use. A variety of tools which serve veterinary surgeons while operating. 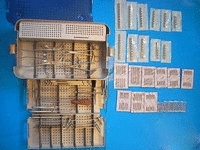 Most tools are specially designed for the specific procedure or operation. Tables which serve the veterinarian for exams and surgical procedures. Table types include stationary, mobile, wet, padded, grooming and work tables. Some include divided segments; others allow manual or hydraulic table height and length adjustments. A ventilator usually intended for small animals, with small stroke volume and high respiration rates. X-ray units specially designed for diagnosing animals of all sizes, including big and medium sized animals. X-ray units specially designed for diagnosing animals of all sizes, including big and medium sized animals. These stationary or mobile units will provide reliable X-ray images to cover all conventional radiology needs of different types of veterinary clinics.